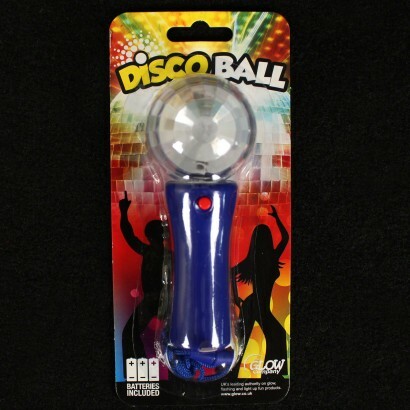 Packed with red, blue and green LEDs, the flashing disco ball literally lights up the surfaces around you with stand out vibrant colour! 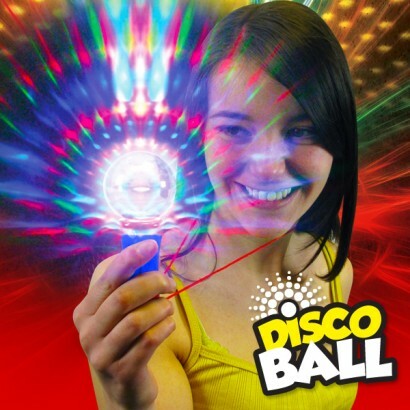 A multi faceted disco ball projects kaleidoscopic light effects in three cool modes for incredible colour all from one small handheld light! Fitted with a safety lanyard, this flashing disco ball is perfect for parties, and it's easy to create mesmerising light displays make it a big hit with sensory classes too. I bought this to use in my car, it reflects colour and images onto the car roof. This keeps my eight month old Granddaughter Paige contented when we make car journeys. 100% recommended for that price!